The construction industry in the U.S. accounts for hundreds of thousands of jobs each year, as well as ample business opportunities for those who want to own a business in the booming industry. Most construction business owners fall under the category of contractor, but there are several variations of contractors running profitable businesses throughout the country. However, to join the ranks of successful contractors in construction, it is necessary to answer specific questions including what is a contractor, how to become a contractor, and what are the requirements to become a licensed contractor. This guide offers in-depth answers to each of these pressing questions for individuals who want to become contractors in the industry. If you’re ready to jump into what you need to do to become licensed, you can read our in-depth state-by-state contractor license guides to quickly determine all the requirements you must meet in your state. This guide on how to become a contractor also provides detailed information about what contractors can earn, the career prospects of contractor businesses, licensing requirements, and how to create long-term business success. If you are considering becoming a contractor in the construction industry, you are in the right place. Becoming a licensed contractor requires several steps, even for those with ample experience in the area of construction. Not everyone who calls himself a licensed contractor is one under the true definition of the term. Let’s start with a quick lesson to answer the question what is a contractor, followed by some characteristics of the job. How long does it take to become a contractor? How much does a contractor earn? A general contractor is an individual primarily responsible for the supervision and oversight of construction projects. These projects may be commercial or residential in nature, and they may be as small as an add-on to a home or a full build of an office complex. General contractors manage the entire project from start to finish, including determining what work needs to be done, the scheduling of subcontractors, securing building permits when needed, and defining and monitoring the budget of the project as it progresses. Individuals who work as general contractors must have a solid understanding of the construction process and the up-to-date building codes that dictate the work. All states require a general contractor to be licensed, which means you must have the experience and skills necessary to complete construction projects in-line with current regulations. In some states, a general contractor is also required to pass an examination covering building competencies, and submit to a background check. Take a look at our detailed state-by-state contractor license guides to quickly determine all the requirements you must meet in your state. 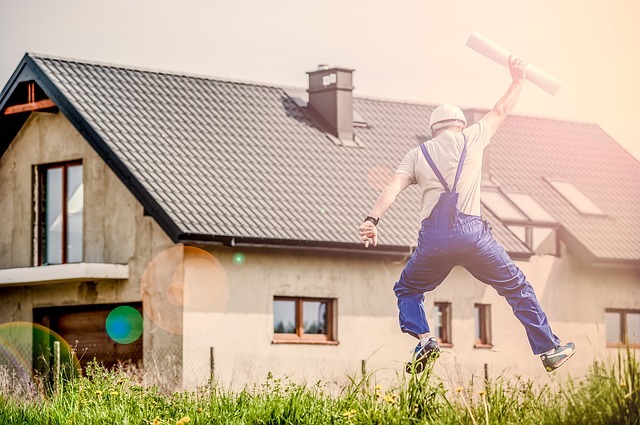 Becoming a general contractor is not an overnight process, but if you’re wondering how long does it take to become a contractor, you need to know there are several different paths you can take to earn the title. Some general contractors lean on their work experience to gather the necessary skills and know-how to become licensed, or they will work through a trade school or association to complete an apprenticeship. In these cases, becoming a general contractor takes anywhere from three to five years. Others interested in becoming a general contractor may follow an academic path, earning a bachelor’s or master’s degree instead of or as a supplement to work in the construction field. General contractors who earn a bachelor’s degree in construction management may become a licensed contractor within four years, while those who earn a master’s may take up to seven to receive their license. Contractors in construction may also work toward a certification in their field through an industry certification association, such as the Construction Management Association of America or the American Institute of Constructors. According to PayScale, a construction contractor earns an average hourly wage of $20.20. However, as more time is spent in the contractor role and skills improve over time, construction contractors can earn up to $46 per hour. This translates into an annual salary between $59,000 and $108,000. There may also be bonuses and commissions paid to construction contractors when they meet deadlines or stay within the proposed budget of a project. As a construction contractor who works for him or herself, additional compensation in the form of profit-sharing plans or retirement plan contributions may be lower than working for a construction company. However, construction contractors have the ability to set their own hourly rate on each project. Now is a great time to become a construction contractor due in part to the strong economic environment in many states. The construction sector is poised to grow 5% per year over the next five years, giving new construction contractors plenty of work to take on as they begin or expand their careers. Additionally, several career pathways exist for those working in the construction business, starting with a contractor position. Once ample skills and experience are earned on the job, construction contractors may transition to project managers or construction superintendents. Contractors may also develop specialties in certain areas of construction work, like carpentry or commercial projects, which may give them an edge in their contracting business. If you have the required work experience or education in the field, or just simply have a passion for construction work on a small or large scale, becoming a contractor may be a smart move. There are benefits to being your own boss in the construction industry, which many contractors are, including setting your own schedule, determining how much to charge for projects, and growth in your career over time. However, becoming a contractor takes several years of experience first, as well as licensing requirements that can be difficult to meet without the proper preparation. It is important to weigh these advantages against the drawbacks before deciding to become a contractor. If it seems as though the details above match up with your passion for the construction industry, you may be wondering how to become a contractor. The process to become a licensed contractor begins with the formal education, apprenticeship, or industry experience mentioned above, which can take anywhere from three to five years to complete. This experience or education often includes in-depth learning about all aspects of construction, including electrical systems, building codes, plumbing, and even business management. The specific education or experience a contractor receives depends heavily on the path they follow to become a contractor. Once this work experience or education is secured, becoming a contractor requires obtaining the appropriate contractor license. Each state mandates that construction contractors, particularly those working on larger projects, maintain a contractor license in order to work legally within the state. When applying for a contractor license, you may be required to take an exam to showcase skills or experience, provide proof of industry experience, or submit letters of reference from previous employers or business contacts. Becoming a licensed contractor in construction may also require you to provide proof of financial stability, either through personal credit history, insurance, or a surety bond certificate. Each of these requirements is detailed throughout the remainder of this guide. There are several types of contractor positions available in the construction industry today, each with its own set of benefits and drawbacks. Before pursuing your contractor license, it is necessary to determine what type of contractor you want to become. Here are the most common examples of contractor types in construction. A general contractor is someone who performs construction on new residential homes, on commercial projects, or residential remodeling or renovation work. General contractors may also take part in supervising or overseeing these types of projects, as opposed to doing the physical work. 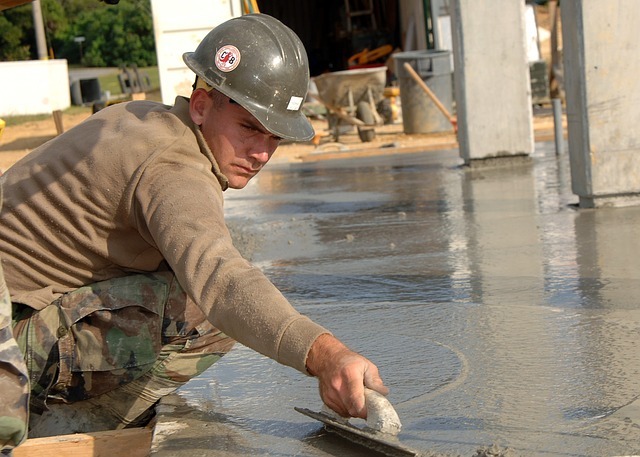 A specialty contractor is an individual who performs work that requires the use of a small set of trades, such as carpentry, concrete or paving work, electrical work, or masonry. Each state has its own guidelines for what constitutes a specialty contractor. Take a look at our detailed state-by-state contractor license guides to quickly determine all the requirements you must meet in your state. An individual working as a mechanical contractor in construction performs work based on a specific license, such as plumbing, heating, or refrigeration. The contractor license extends only the mechanical work, not installation, as this requires a separate electrical license in most states. A significant part of becoming a licensed contractor is having the right education requirements met before applying for a license to do work in your state. The first milestone is earning a high school diploma or its equivalent. Classes throughout high school that are focused on algebra, drafting, or geometry are most helpful in pursuing further education in the construction field. Above and beyond a high school diploma, the following education requirements are often necessary to make yourself the most marketable to prospective customers. Some construction contractors opt to earn a degree in order to fulfill experience requirements for obtaining a contractor license. The minimum degree in some states that meets this need is a bachelor’s degree program. This may be focused on coursework in architecture, engineering, project planning and management, or construction management. Other contractors pursue an advanced master’s degree in construction management or project planning to further their marketability in the field. Instead of an earned college degree, some construction contractors lean heavily on their experience in the industry to help meet the requirements for a contractor’s license. Experience minimums for each state vary, but are typically not less than three years in a construction-related job or apprenticeship. Experience in the construction industry means working hand-in-hand with licensed contractors on residential or commercial projects, or shadowing licensed contractors as they manage projects on small or large scales. Whether a contractor applies his or her formal education or industry experience to fulfill licensing requirements, an array of key skills are needed to perform work adequately. Construction contractors understand various construction practices and building regulations as well as how to appropriately operate construction equipment. Above and beyond the key skills specific to construction, contractors also need soft skills in place if they want to have a successful business. These skills include communication both written and verbal, analytical and problem-solving skills, supervisory skills, and time management. All licensed contractors have some training they need to complete beyond experience in the industry or formal education through a trade school, college, or university. The first step in this process is the get in touch with your state’s contractor licensing board. Each state has a contractor’s license board, but you may be wondering what exactly a construction contractor board is. The answer to this question is relatively simple: the board is the government body that administers licensing for construction contractors in the state, including the exam requirements for each type of contractor license available. For example, California’s contractor’s license board offers a vast amount of information about the licensing process, who is required to take an exam, and study guides for the contractor’s exam online. All states have a contractor licensing board which can be found through a quick online search or by contacting the state’s department that handles contractor licensing. Once you have contacted your state’s contractor licensing board to determine the licensing requirements, you will able to quickly determine if an exam is needed or not. Most states require an exam completion when projects exceed a certain dollar amount, regardless of the education or experience obtained by the potential contractor. 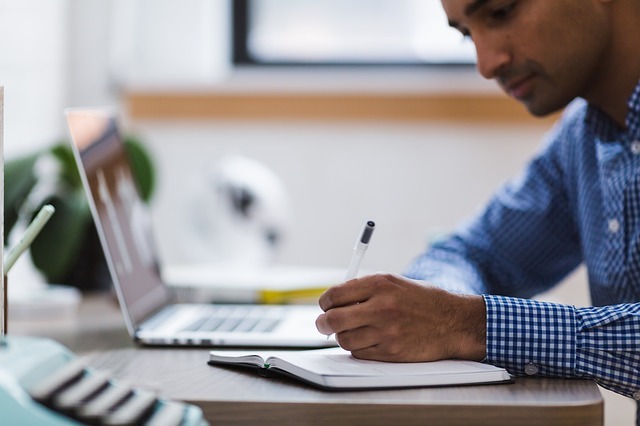 Passing the exam requires some self-study, specifically aimed at understanding current building codes, state laws relating to construction and contracting, and business management education. Take the time to prepare for the exam before scheduling it so you can pass it successfully the first time around. One of the most overlooked steps in becoming a construction contractor is developing a sound business plan. A contractor’s business plan includes several components, ranging from the scope of work he or she will perform to the financial aspects of running a business. In general, a contractor business plan should include the following information to ensure the business side of construction contracting is both feasible and profitable over time. Contractors in construction can take many paths to success in business, but each begins with a determination of what specialty or differentiation will set the contractor apart. For example, contractors with substantial experience in electrical work or mechanical projects should focus on these skills to set them apart from other contractors in the business. Similarly, construction contractors can differentiate themselves by opting to work only on large commercial projects or small residential projects. Regardless of which type of work you plan to complete as a contractor, it is important to spell this out in the business plan so you have a clear path of what’s needed to run the business. Another more complex aspect of creating a business plan as a construction contractor is identifying the sources of capital available to help launch the business. There are costs associated with creating a legal business structure, like an LLC or an S-corporation, as well as securing the appropriate insurance and surety bond. There are also expenses for licensing fees, exams, and training that must be added into the mix at the start of the business. Contractors must also consider what is needed in terms of business management software, a mobile phone and laptop, and any equipment necessary to complete projects over time. These costs can add up quickly, so it is necessary for new contractors to estimate relevant expenses and prepare for covering the costs as they arise. Although construction contractors must have substantial experience in the industry before starting their own business, the competition in the contractor world is high. For this reason, new construction contractors must develop a plan for marketing their business to residential or commercial clients in the state or city where they work. Marketing can be done on a budget, through outlets like social media or online advertisements, but it often comes as a higher cost than most anticipate. To keep marketing expenses from getting excessive, consider your options for marketing through print, radio, or word-of-mouth referrals in addition to online channels to start. Before taking on your first client as a construction contractor, you must have a business template in place that spells out several aspects of each project. This business template should include a standard agreement between the contractor and the client, the pricing terms, the payment terms, and any information the protects you and your client from legal issues in the future. A contractor template relies heavily on the price charged for specific projects, so it is crucial to have this information down before working with a new client on a new project. Once you have taken steps to gain valuable industry experience or education, put together a sound business plan, studied and passed the licensing exam, your next step is to gather all the information necessary for your state’s contractor license requirements. You will then secure a contractor license bond and then submit your contractor application. Here are the details for each step. As mentioned, each state has its own requirements which must be met in order to qualify for a contractor license. Take a look at our detailed state-by-state contractor license guides to quickly determine all the requirements you must meet in your state. Most states have similar requirements which may include a background check, experience and education minimums, and financial documentation including bonding and insurance. Be sure to take the time to review these requirements and gather the most recent and accurate information before submitting your application to the state. Your contractor license bond has the largest range of costs compared to other items such as your license and application fees. Nearly all states require that construction contractors hold a minimum surety bond in order to be licensed. A surety bond is not insurance, but instead ensures you will follow state regulations in construction with each project you complete. A contractor license bond protects your clients from financial loss should work not be performed in-line with standards or building regulations. A contractor bond comes at a cost, typically charged as a percentage of the total bond needed, and it is required to be in place before submitting your contractor license application. When you have determined your state’s requirements for becoming a licensed contractor, passed the exam, and secured your licensed contractor bond, you are ready to submit your application to the state. Contractor license applications can take some time to review, so be prepared to be patient in the process. Once the state has verified your application information and you have paid the licensing fee, if applicable, you are ready to work as a licensed contractor in your state. After becoming licensed as a contractor, you may think your work is done. However, you need to consistently manage your business so that you earn a strong reputation for construction work in the state where you work. Managing a contractor business requires several steps, including an ongoing review of finances and marketing, and maintaining your contractor license while staying up to date with construction regulations and standards. Most importantly, though, successful contractors in construction take the following two steps seriously throughout the life of their business. The smartest step you can take as a licensed contractor in construction is to keep a keen eye for details with every project completed. Staying on top of the details as a contractor is necessary to keep bond claims to a minimum, and it helps build your reputation in the communities where you work. Be sure to review work completed by subcontractors, the materials provided by suppliers and vendors, and any other aspect of a project that you may be supervising. These small steps will lead to a big payoff in your construction contractor business over the long term. Finally, success in contracting is more easily achieved when you embrace your peers and colleagues, and the expertise and experience they have in the field. Networking with other construction contracting professionals, as well as business professionals, helps ensure you are in-the-know about changes in construction regulations or safety issues, business management techniques, and strategies for marketing to new prospects. 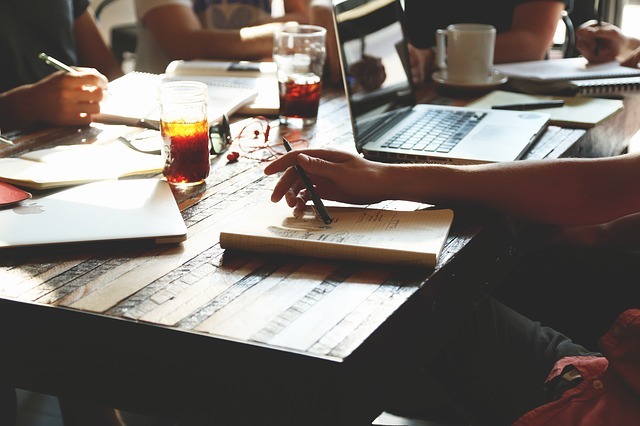 Networking can be done through a variety of channels, including online discussion forums, social media groups, or in-person networking meetings in your local community. What type of info are you looking for specifically? I can look into adding it to our guide if it would be valuable.